I love people that just do their thing and defy convention. This customer is not going to have a engagement ring. She also did not want the hassle of rhodium plating white gold nor he expensive of Platinum. 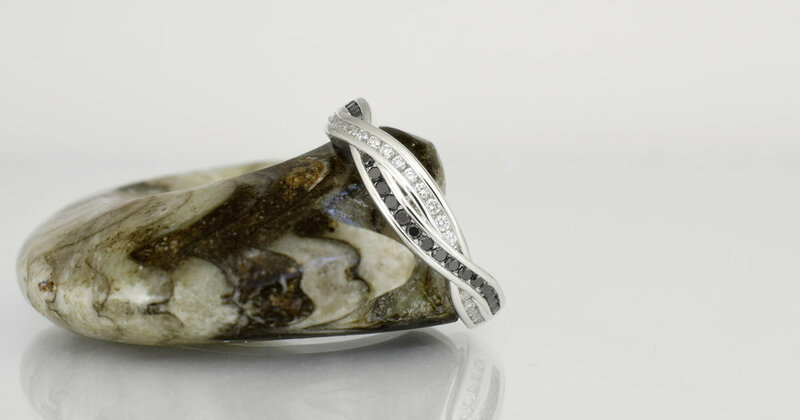 She decided to have her ring made in the naturally white and tarnish resistant Palladium Sterling Silver. You can read more about Palladium Sterling Silver and this ring in this article.